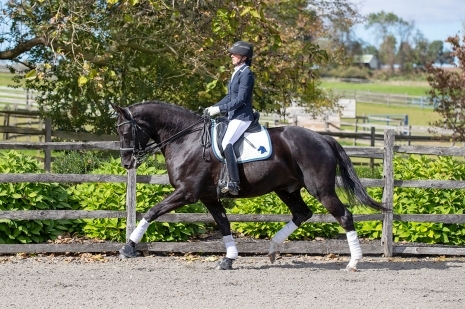 Wind Phaerie HU, aka Wendy, is a 2010 Domestic Hanoverian mare bred by Anne Sparks at Horses Unlimited. She competed at the young horse championships as a 6-year-old, has shown successfully at 4th Level and is currently schooling PSG. A lovely moving mare with a sweet personality, Wendy is fun, forward thinking and well suited for a Jr, YR or confident AA.